Michigan: The Arsenal of Democracy and The Arsenal of Innovation. Michigan has played a prominent role in the defense of our nation since 1940. Michigan Defense Center helps Michigan-based companies cash in on defense contracts. The defense industry and the automotive sector share a culture of innovation, R&D and leading-edge technologies. Opportunities tailor made for you. See what's happening and view upcoming events in the defense industry throughout Michigan. Approximately 70% of everything a soldier touches is contracted in Michigan. 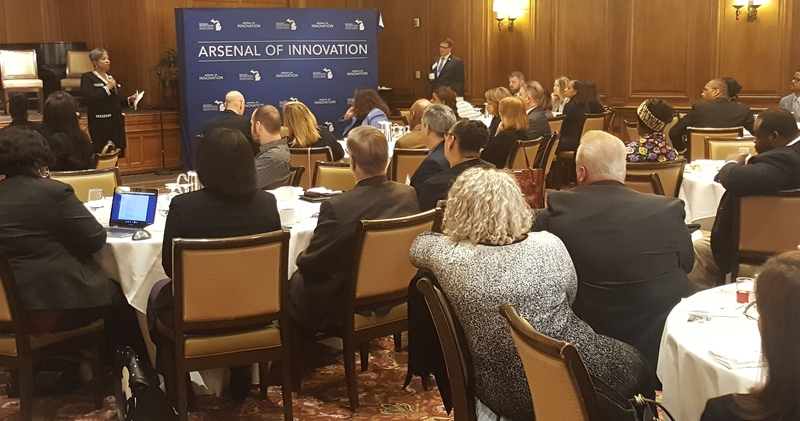 Michigan companies are at the forefront of identifying and resolving global cybersecurity threats. Our reputation as the Motor Capital of the World goes well beyond the family sedan. Michigan has an abundance of R&D centers and highly qualified personnel. We can connect your business with the defense industry and its $580+ billion budget. The Advance Michigan Defense Collaborative promotes Michigan’s expertise and capabilities to the defense industry. 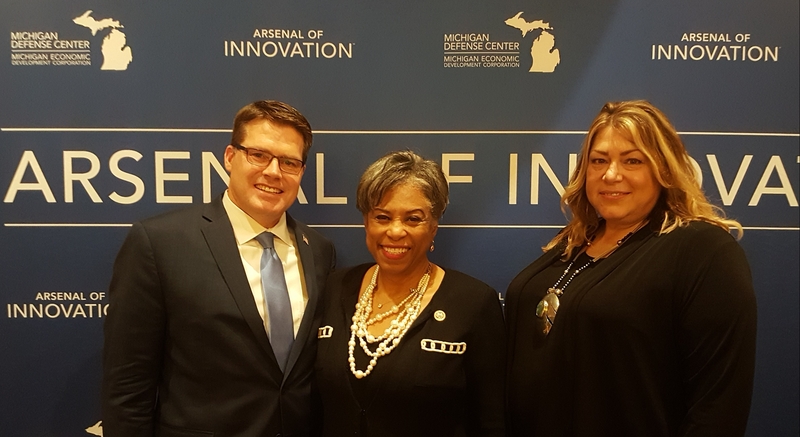 Michigan Defense Center Executive Director Sean Carlson , U.S. Representative Brenda Lawrence (D-Southfield, Appropriations), Deputy Executive Director Vicki Selva meet with 125 metro area small businesses to assist them in expanding into defense contracting. Learn more here.